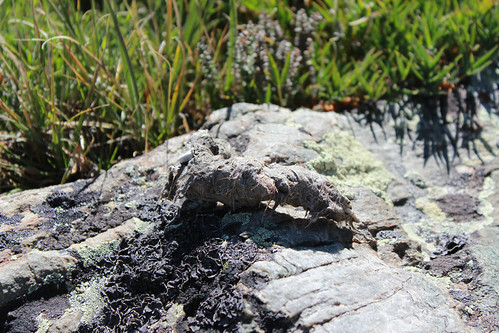 Medicine Bow Peak is open all year but it is difficult to get to from winter to mid summer. 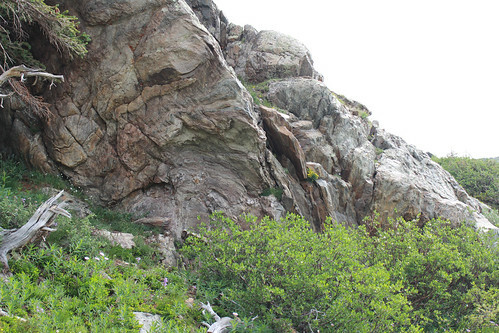 It is open to hiking. Dogs are welcome. Mountain biking and horseback riding. There is a fee of $5 per vehicle for each day if you park in the Sugar Loaf Recreation Area (near Lewis and Libby Lake). 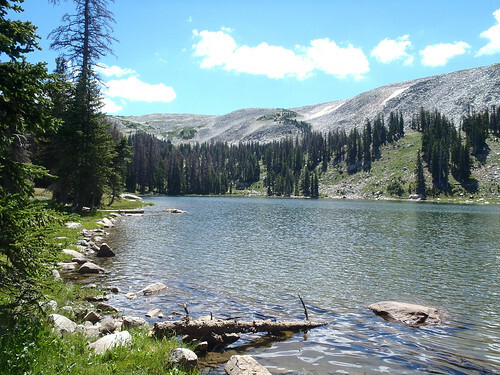 The Medicine Bow Routt National Forest Day Use Pass is accepted along with all Interagency Recreation Passes. There is no parking or day use fee at Mirror Lake or Lake Marie. The are 3 easy trails totaling 2.6 miles. There are 3 moderate trails totaling 7.9 miles. There are 2 difficult trails totaling 6.1 miles. 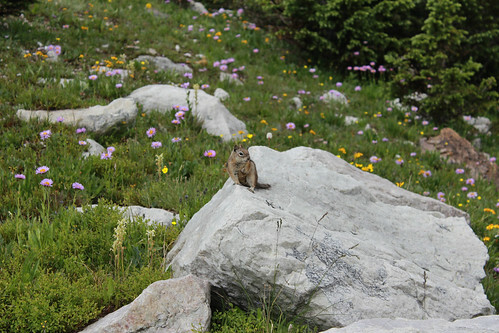 Go to Flickr for more photos. 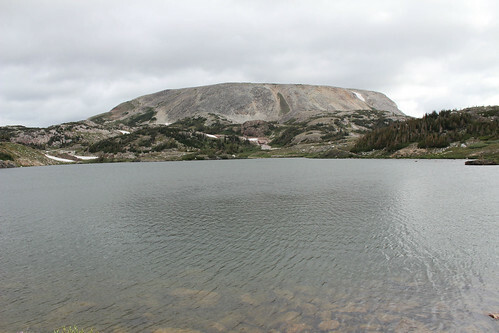 The Medicine Bow Peak is the highest peak in the Snowy Range at 12,013 feet. 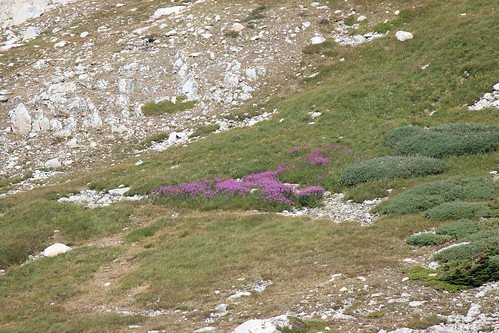 It is part of a rugged ridge line that towers over several alpine lakes and forest below. 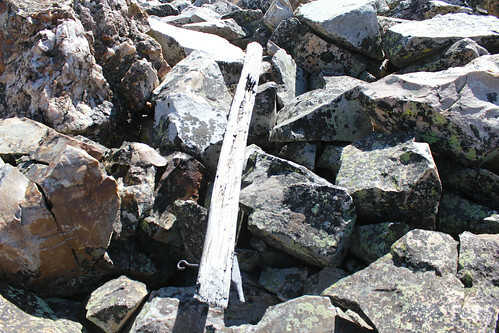 There are several different trailheads that will take you to the summit. 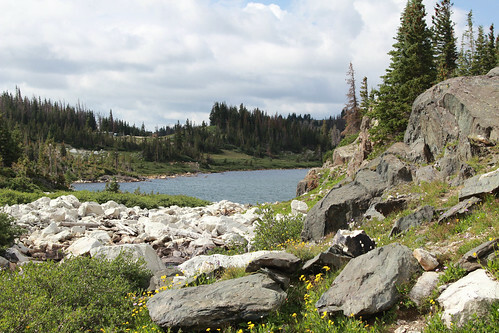 The Lewis Lake Trailhead is very scenic at 1.6 miles offers the shortest route to the summit. 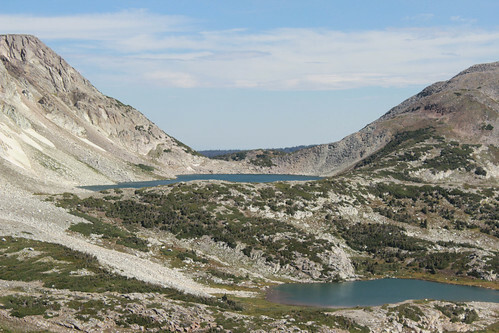 The Lake Marie Trailhead offers a generally more gradual, but longer climb (3.6 miles) which is just as scenic. It will also take you past an old lookout cabin. 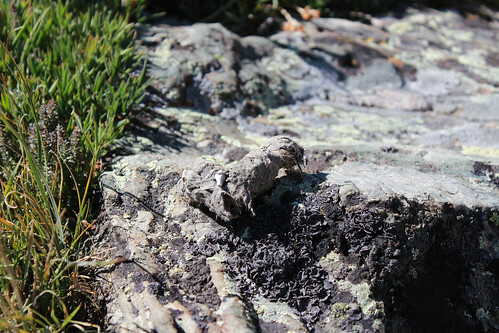 No matter your route you will hike through some very steep sections and very rocky sections but there is hardly a spot on the trail that doesn’t offer a stunning view. 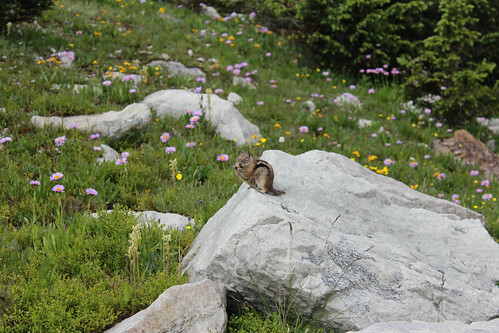 You can view, download, and print a PDF version of our free trail guide. You can find these trails in our Snowy Range and Pole Mountain Trail Deck sold through our partner, Laramie’s Basecamp. 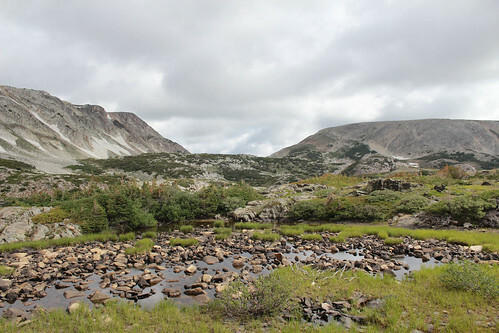 The Medicine Bow-Routt National Forest publishes the Medicine Bow National Forest Map – Waterproof. 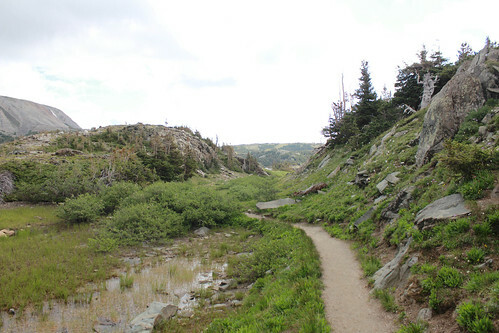 These trails are also part of the Hiking Wyoming’s Medicine Bow National Forest – Third Edition book by Marc Smith. 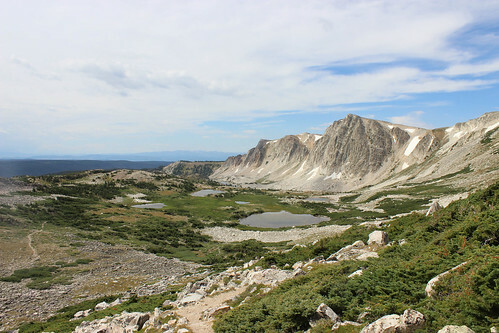 The trails range in elevation from 10,480 feet at the Lake Marie Trailhead to 12,013 feet at Medicine Bow Peak. 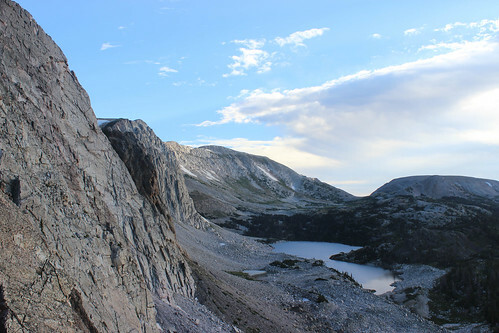 There are four trailheads you can use to hike Medicine Bow Peak. 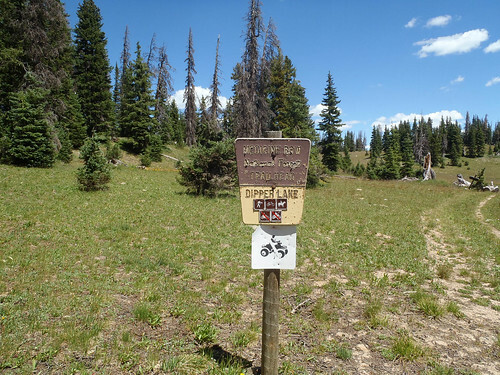 The shortest and most direct route is from Lewis Lake in the Sugar Loaf Recreation Area 11.2 miles West of Centennial on WY 130. 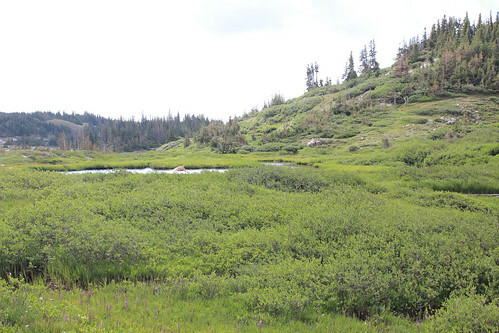 If you continue on WY 130 you’ll come to the Mirror Lake Trailhead in 13.5 miles, the Lake Marie Trailhead in 14.2 miles (this trailhead is more gradual and just as scenic as starting from Lewis Lake) and the turnoff for FS RD 103 in 18 miles which can then lead you to the Dipper Lake Trailhead. Select the Google Map tab next to the Just Trails Map tab at the top of the page to see a directions map. 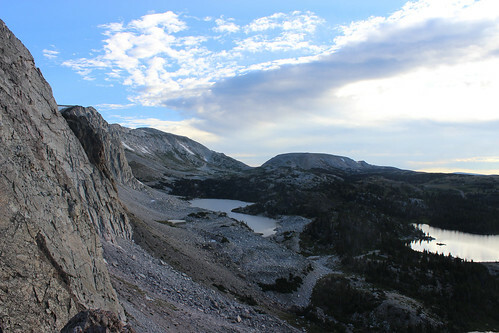 You can help other people explore by leaving some comments about the Medicine Bow Peak Area below. 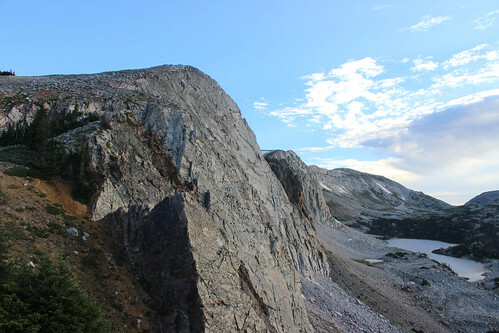 We thought we’d head up to Medicine Bow Peak this morning but the road into Sugar Loaf Recreation Area is still closed. So we just parked at the gate and walked up to Lewis Lake and back. It was a good morning. We saw quite a few people doing the same thing.